As much as we love discovering the latest trends in engagement rings (we’re looking at you, unique settings and nontraditional stones), there’s something undeniably chic about having a ring with a truly timeless setting. 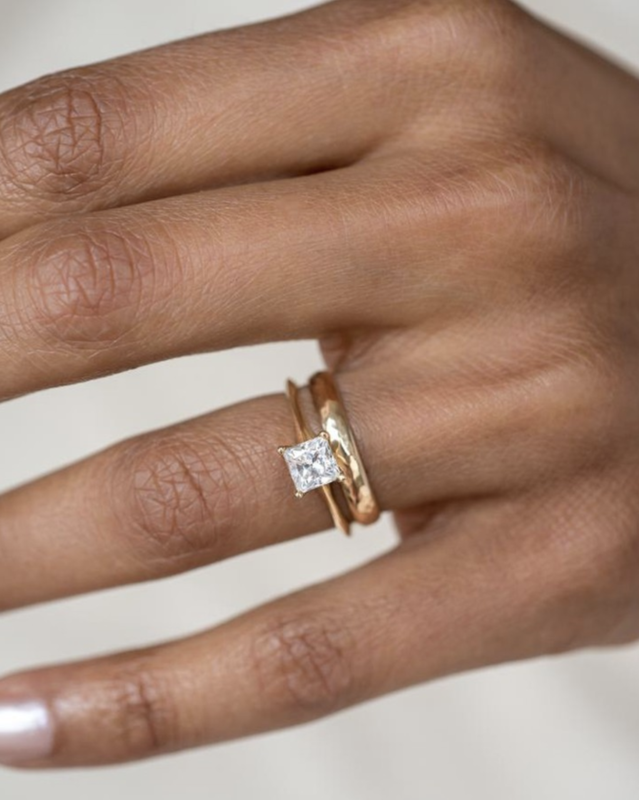 Sure, you’ll never go wrong with a classic circle or oval shape, but if there’s one cut we’re eyeing at the moment, it’s the square engagement ring. While the shape, typically seen in a princess or Asscher cut may have been out of the limelight as far as traditional engagement rings go, the square diamond will never go out of style, according to Anna Bario and Page Neal of Bario Neal. Now whether you’re about to drop a hint to your S.O. or are browsing for rings to add to your Pinterest board, shop some of our favorite square engagement rings below. Available in sizes 4 to 7.75. We can’t get over this ring. A unique ring for the nontraditional couple. Available in sizes 3.5 to 11. Emerald rings are a major trend. We love the simplicity of this ring. You can’t deny the beauty of this. A gold band is so timeless. Available in sizes 3 to 10. The details of this ring are everything. Available in sizes 3 to 11. We love the diamond band. How gorgeous is this setting? You won’t be able to stop staring. 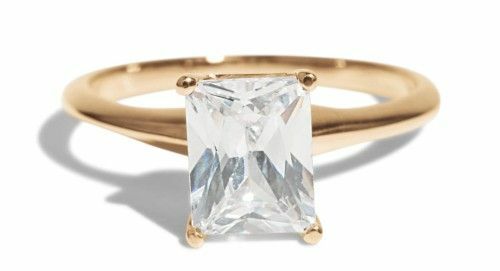 So if you’re looking for something unique that’ll still be classic years down the road, a square engagement ring will be the shape for you.